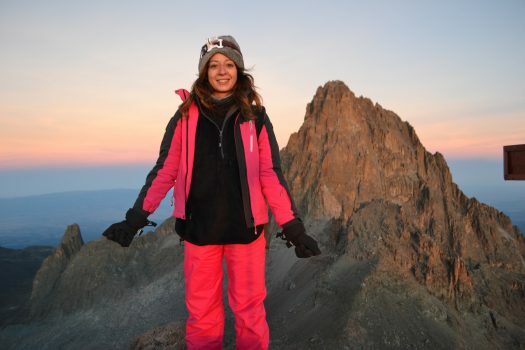 Mount Kenya is Kenya’s tallest mountain and the second highest in Africa! Join Team Kenya as we climb to Point Lenana at 4,985m. To get there, we will trek from the dusty lowlands through ancient forest and unique glacier-sculpted alpine health, up to jagged volcanic peaks and glistening glaciers. Mount Kenya is home to animals including elephant, buffalo, zebra and hyena, as well as over 800 plant species including 81 endemic to the mountain. We will be following the Chogoria route up the mountain, which is arguably the most magnificent ascent route to the summit. It is the driest route up the mountain and the walk beside the Gorges Valley is truly spectacular. The descent by the Sirimon route takes you through some beautiful forest tracks and completes the traverse of the mountain. This is a very accessible route and within the capabilities of fit and enthusiastic walkers. We meet in Nairobi and travel through agricultural country up to Chogoria town for lunch. After lunch, we take a 4×4 and drive up to the edge of the bamboo forest where we start our trek through the dense bamboo forest for 10 km up to the Mt Kenya Bandas. Top tip – arrive in Nairobi a day or two before the trek. This will give you chance to relax at Wildebeest Eco Camp (our recommended hotel), visit the David Sheldrick Elephant Orphanage to learn of their amazing conservation work and kiss a giraffe at the Giraffe Centre. We set off early for a long trek on a wide track through the forest, with occasional sightings of elephant, bushbuck, buffalo and impala. Emerging from the forest, we walk through heather before crossing the Nithi River to reach the moorlands from where we enjoy spectacular views of the picturesque Gorges Valley, the Temple, lakes, mushroom rocks, billiards table and the high peaks. A very early start at 3am to reach Point Lenana for a spectacular sunrise. After taking some time to take in the views and get celebratory photos at the top we will descend to Shipton’s camp for breakfast. After breakfast, we continue our gentle descent enjoying the scenic moorlands, before reaching the camp for a well earned rest! A short walk to complete our descent from the mountain. After completing the descent, why not join us in Ndhiwa to see the impact that your fundraising has had? Your journey to Ndhiwa is free, you can stay in our very own Karibuni Eco Cottages for £20 per night including all meals. Your return to Nairobi is <£10 by road, or approximately £50 by air. You have two options to fund your trip. Option A – Pay a £250 deposit to secure your place and raise £1,200. Your costs will be taken from your fundraising. Option B – Pay your $735 (approximately £520) costs yourself and raise what you can. We recommend a target of £1,000 but you can set your own target based on personal circumstances. 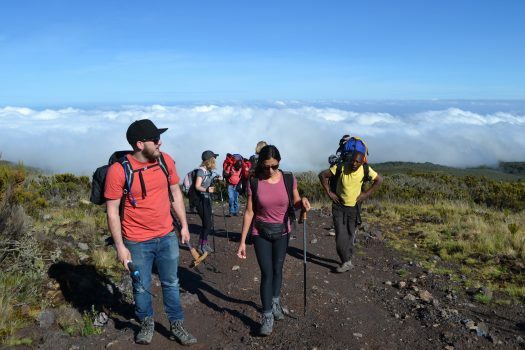 Costs include transfers to and from the mountain, park fees, food and drinking water on the mountain, accommodation on the mountain, guides and porters. Costs do not include international flights, tips for guides and porters (we recommend $80 to $100), Kenyan visa (£40), clothes and equipment. Should you have any questions about the trek, please contact Brad via brad@team-kenya.co.uk or +44 7464 729 093.